The control panel is the heart of every DUG-Insight project. 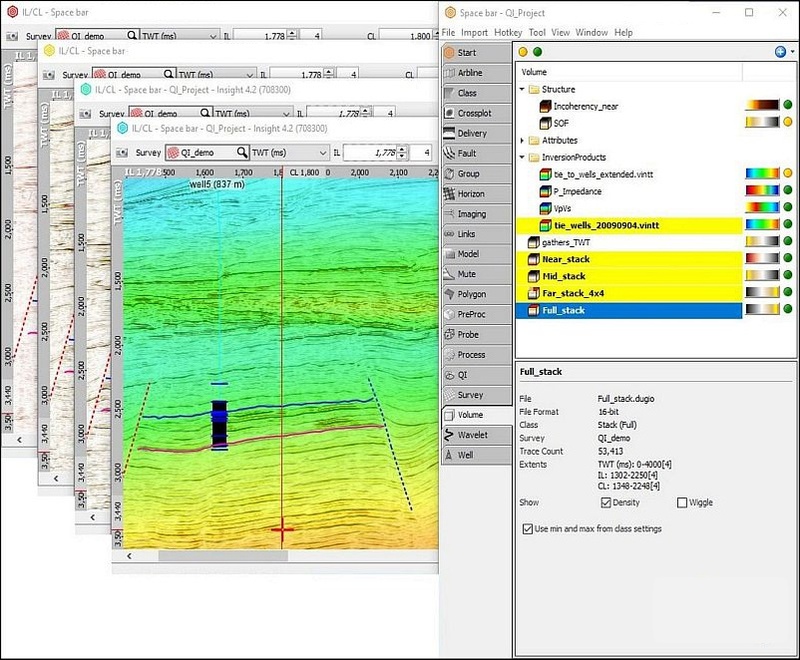 Often during interpretation the control panel can get swamped under multiple Map Views with amplitude extractions, several IL/CL views with developing horizon interpretation, and arblines at various orientations. Even a 3D View can get in the way! Insight’s useful Space Bar hotkey brings the control panel to the forefront no matter how many windows you have open. Never again go looking for the control panel when you want to create a new horizon. Just hit the Space Bar and the control panel will come to you!